Here's early evidence that STAR TREK's popularity was growing, thanks to constant reruns, in the mid-seventies. 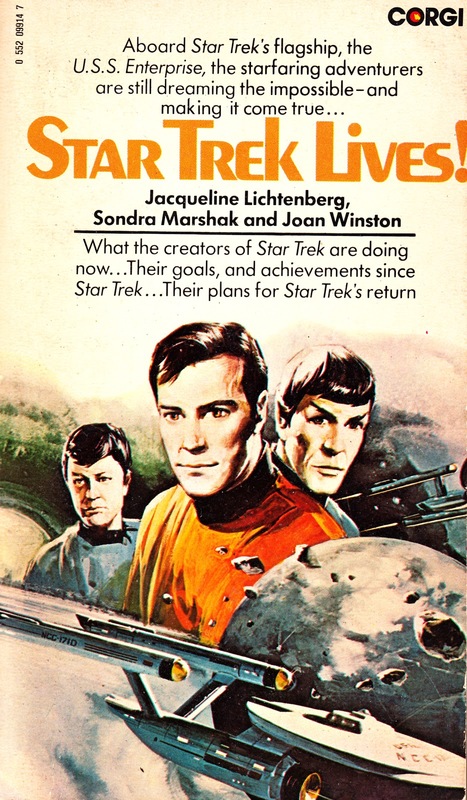 STAR TREK LIVES! 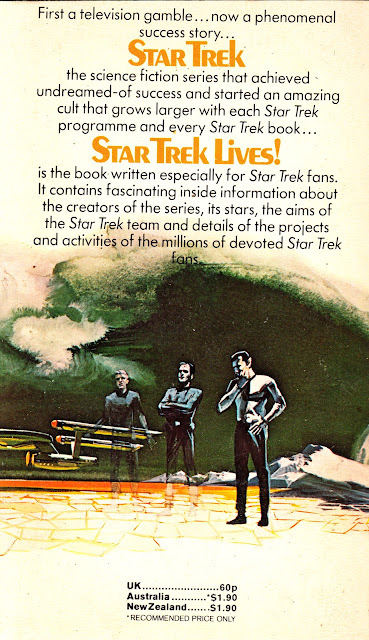 was a mass-market non-fiction paperback, published in 1976, pitched at Trek's growing fandom. This is the UK edition, published by Corgi (and also, evidentially, shipped to Australia and New Zealand). 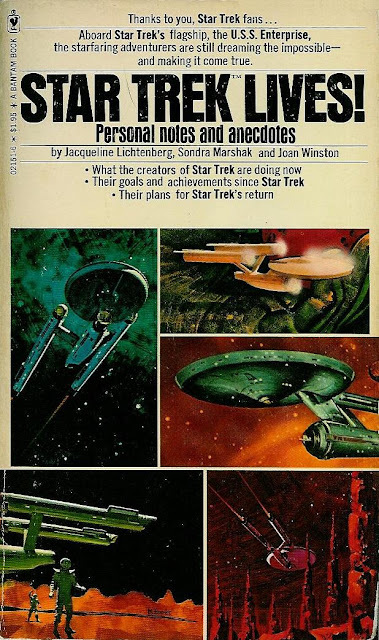 There was also a US edition, published a year earlier. That edition's Enterprise-centric cover seems to be much more prominently featured online. I picked-up this copy from an Oxfam Bookshop a while back.